Results: In extreme environments, some materials quickly recover from being hit by energetic ions, while other materials are permanently scarred, according to scientists at Pacific Northwest National Laboratory, the University of Michigan, and the Interdisciplinary Research Centre Ions Lasers in France. 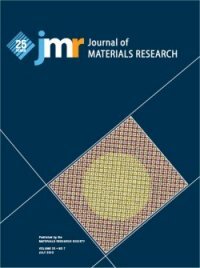 The recent article, which integrated independent experiments and simulations, showed step by step how the materials respond. This research graced the cover of the July 2010 issue of the Journal of Materials Research. Why it matters: Communication satellites, nuclear reactors, nuclear waste disposal, and other technologies need resilient materials that can withstand radiation in environments characterized by extreme heat, cold, or stress. To determine how materials will behave and design better alternatives, researchers need the rare insights into the atomic-level behavior provided by this study. In addition, this research has geological applications. Minerals are often dated based on the tracks left by the heavy swift ions. A better understanding of how these tracks evolve can lead to more accurate dating information. Methods: The researchers began with gadolinium titanate and gadolinium zirconate. Each material was bombarded with fast-moving gold ions using a leading-edge ion accelerator in Darmstadt, Germany. This work provided new information on the beginning and end states of the materials after they were exposed to the ions. The team wanted to know more. Like crime scene investigators, they could see the damage and wanted to know how it happened. Dr. Ram Devanathan and Dr. William Weber at Pacific Northwest National Laboratory took on that challenge. They created a series of simulations of the atomic structure before and after the ions collided. These simulations were run on EMSL's supercomputer. "The capability to create these highly accurate computer models of extreme radiation damage is rare," said Devanathan. The team found that fast-moving gold atoms produce a molten cylinder in gadolinium titanate and create a track of disrupted atoms about 8 nanometers in diameter. After 6 picoseconds or 6 trillionths of a second, the molten core begins to shrink and the atoms at the edges begin to hop back into their regular, crystalline pattern. After about 50 picoseconds, a shell of ordered atoms forms around area highly damaged track. In the gadolinium zirconate, the ions barrage creates a small melted area, just as with the titanate. However, after about 13 picoseconds, the melt begins to shrink and reordering of atoms on the edges is apparent. After about 50 picoseconds, the atoms have reordered themselves, creating an area with few defects. "Essentially, the material heals itself," said Devanathan. This theoretical research reveals the fundamental science that dictates how different materials respond to radiation. What's next: Devanathan and his colleagues will use their understanding of swift, heavy ions to fabricate and test novel nano-structured materials for use in extreme environments. Acknowledgments: DOE's Office of Basic Energy Sciences and German Science Foundation DFG funded this research. The work was done by Jiaming Zhang, Miak Lang, and Rodney C Ewing at the University of Michigan, Ram Devanathan and William J Weber of Pacific Northwest National Laboratory, and Marcel Toulemonde of the Interdisciplinary Centre for Research on Ions, Materials and Photonics (CIAMP) in Caen, France. Weber has since moved to Oak Ridge National Laboratory. Some research was done in DOE's EMSL and CIMAP. Where do swift, heavy ions come from? These charged particles are unleashed when atoms like uranium-238, which occurs naturally in rocks, spontaneously split into two lighter atoms that pack a lot of energy. The fast-moving lighter atoms leave a trail of destruction behind them in most materials. By counting the damage tracks, one can estimate the age of rocks and understand the evolution of the Earth's crust. A limited number of ion accelerator facilities worldwide can produce swift, heavy ions to mimic nature.